Birmingham City have signed goalkeeper Adam Legzdins on a two-year contract, with the option of a further year. 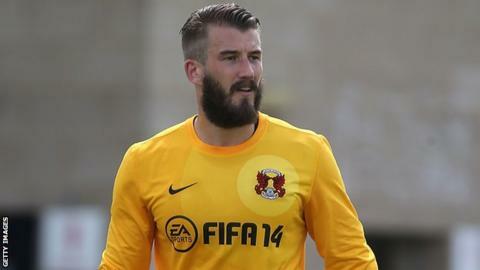 Penkridge-born Legzdins, who began his career at Blues but never made a first-team appearance, was released by Leyton Orient at the start of June. The 28-year-old has made more than 150 appearances at nine different clubs, including Derby, Burton and Crewe. His signing comes with goalkeepers Darren Randolph and Colin Doyle both set to leave St Andrew's on 1 July. Randolph is set to join West Ham, while Doyle has agreed a move to League One Blackpool.